Deadline for registration: June 20, 2010. 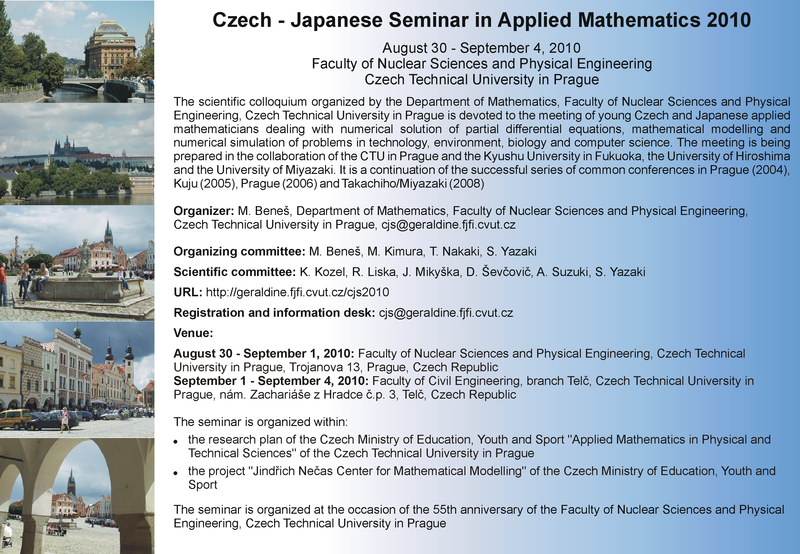 Transport from Prague to Telč on September 1, 2010 and back on September 4, 2010 is provided by the conference bus. 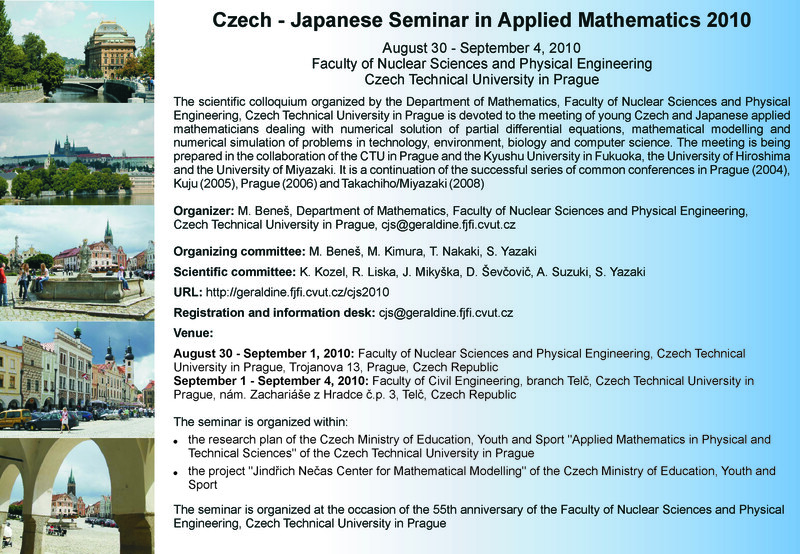 The proceedings will be edited by the Department of Mathematics, Faculty of Nuclear Sciences and Physical Engineering, Czech Technical University in Prague after the seminar. For comparison, see the previous proceedings in 2004, 2005, 2006 and 2008.